Let's jump right into the good moments from the week. 1.) This. This right here. Baby K NEVER cuddles. Like ever, which really breaks this Mama's heart. But this week, she just laid her sweet little head right on my chest and stayed there. And I melted. 2.) I had a somewhat stressful day on Wednesday and put a simple prayer request out on facebook just asking my friends to lift me up in prayer (I love facebook for that!). Well not only did so many people pray for me, but my amazing friend Julie stopped by to bring me cupcakes, tulips and one of the sweetest cards ever written. I also scored some hugs from her cute little boys. It is friends like Julie who can seriously turn a stressful and hard day into a day with rainbows and butterflies. 3.) We did it! We started laying Baby K down for bed at night without her sleep suit. Yes, I know I should have had her out of the suit awhile ago, but winter decided to stick around longer than I would have liked, so I kept my baby in her sleep suit (and yes, I admit it - she slept so good in it, why wreck a good thing, amiright?). So far we are at four solid nights of no sleep suit and zero waking up. 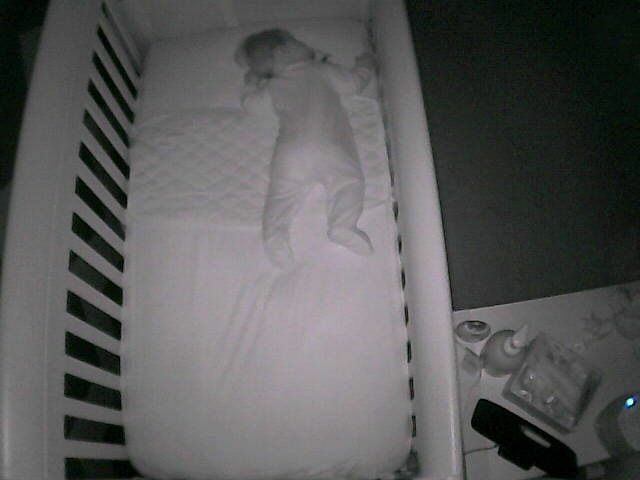 Oh sweet Baby K, thank you for continuing your good sleeping habits. 4.) Tolar and I completely fail at trying to be sporadic. We are planners through and through. That's one of the reasons we are so well matched. But this week, we tried to throw our schedule out the window and take Baby K out on a walk in the beautiful 72 degree weather we've been having. On our way to the park, I realized what time it was and that I was missing a pumping session (sorry - hope that's not TMI) and Tolar realized he had to help a friend move like 50 minutes later. Way to think we didn't have a schedule. So beautiful outside afternoon was gone and we only had a few minutes to grab some milkshakes. Not a total loss and the milkshakes were super yummy. 5.) God is amazing. 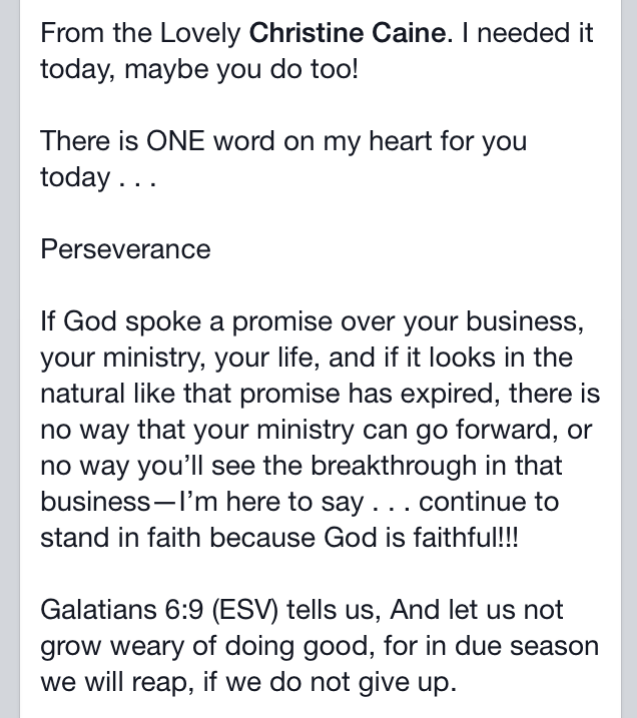 He had my friend Katy send this info to me from Christine Caine at the EXACT moment I needed it. I loved it so much, I just had to share! I hope you had a great week and that you have tons of fun plans in store for the weekend. Oh and if you missed yesterday's post about the awesome sunless tanner from Rodan + Fields, don't worry. There is still time to snag one for yourself! I'm linking up this post with Lauren Elizabeth. Your baby girl is so adorable! I love that she gave you some cuddles! Sounds like you needed them this week! Hope you have a nice weekend! addi is not a snuggler either but has been sick this week which stinks, except for the extra cuddles! 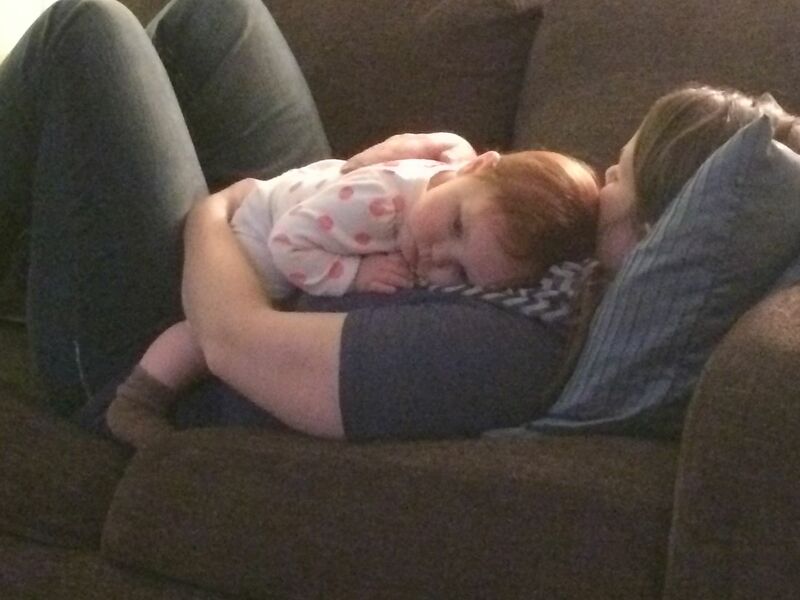 My daughter never snuggles unless she doesn't feel good... but my son is a snuggle monster. I'm so happy to see you had sweet cuddle time with your baby girl! I'm sure it means so much more since it's not a frequent thing, and the picture captures the love perfectly. 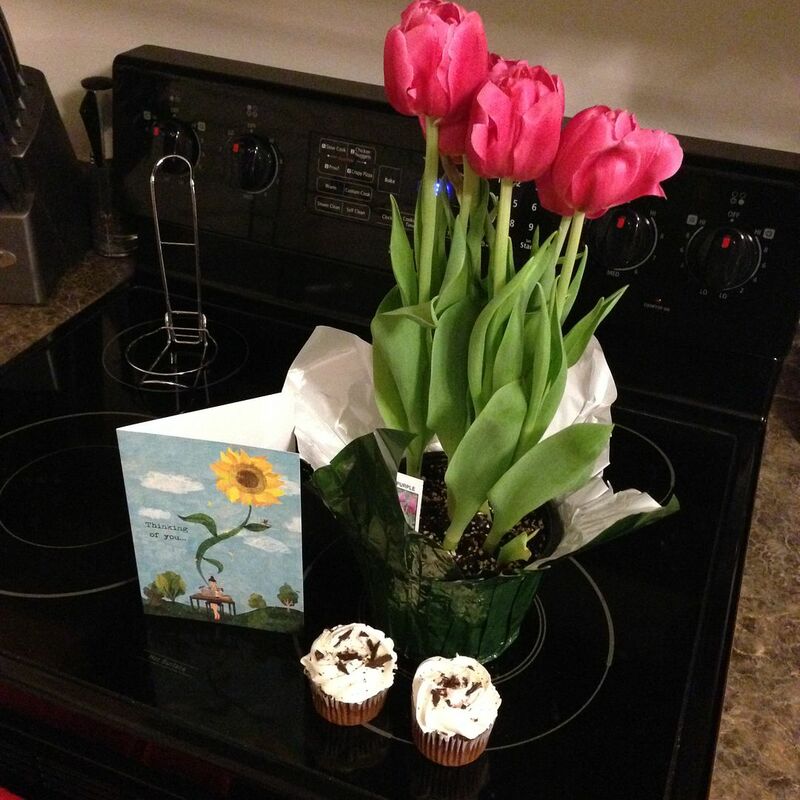 :) What an awesome friend to bring you those flowers and cupcakes... it looks like you had a blessed week!! Rare cuddles are the sweetest! 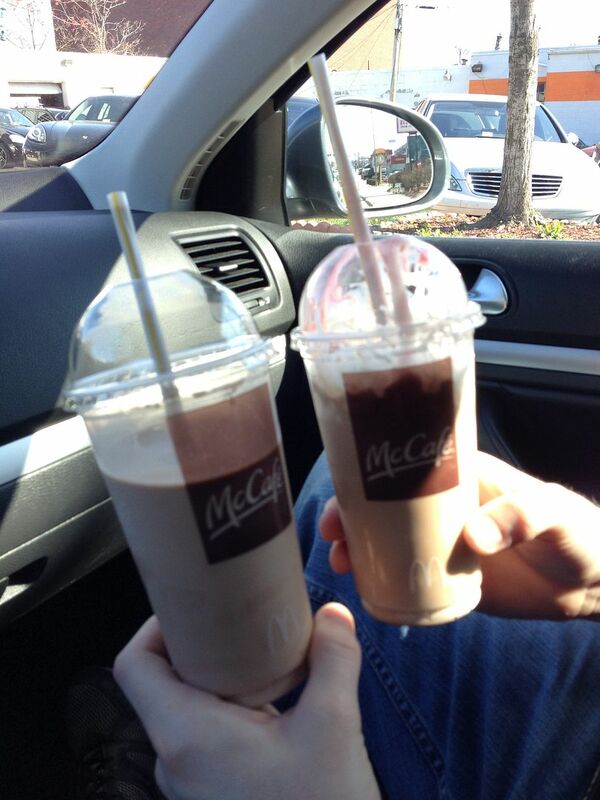 And those shakes look divine!